→Choosing From The Best 6×9 Speakers: Which One Stands Out? Choosing From The Best 6×9 Speakers: Which One Stands Out? 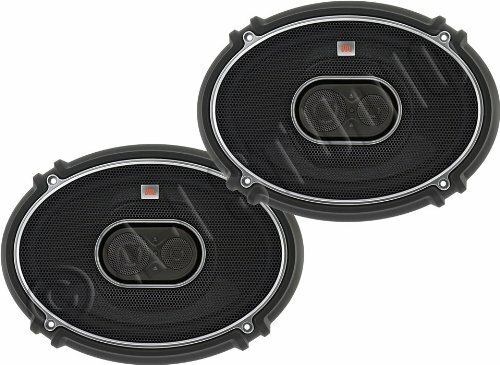 Do you ever consider purchasing a pair of the best 6x9 speakers for your car? However, are you that much overwhelmed knowing that there are great choices out in the market? If yes, then being guided by valueable information when it comes to purchasing such product should be considered. It is a fact that purchasing speakers like this 6x9 one are indeed important and a challenging task as well. Of course, you want the music to be harmonious at the same time you want to decide to choose a speaker that is reliable and capable when it comes to delivering well-balanced and clear sound quality. But knowing that today’s market has wide options offered, the reviews of the best speakers of this kind will be a great help in your decision-making and purchasing process. **Below, you'll find my more detailed reviews about the 6x9 speakers, but you can also click the links above to see current prices or read customer reviews on Amazon. 6x9 Speakers: What Are The Three Types? What Are The Things To Consider Before Choosing 6x9 Speakers? 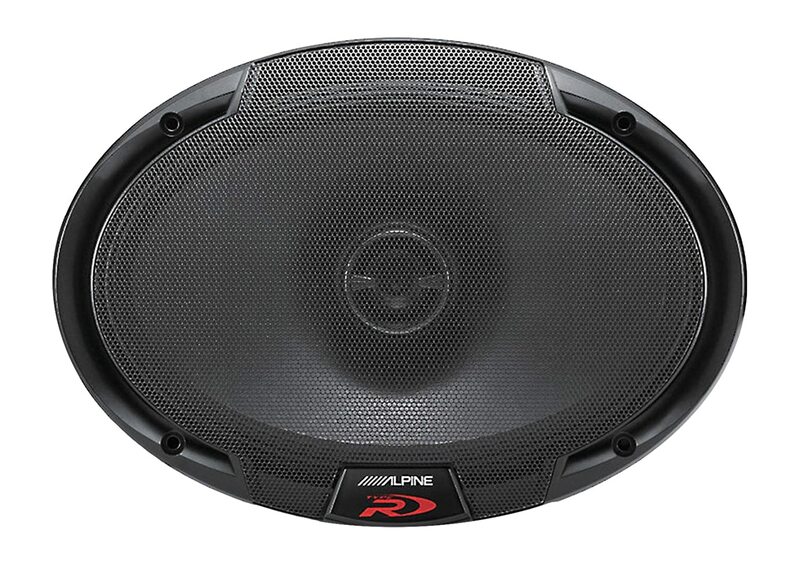 Learn more about these options through these reviews of the best 6x9 car speakers. For those car sound enthusiasts that are looking for a quality speaker that matches their budget then this one is the best choice. This one features polypropylene cones as well as silk dome pole mounted Piezo tweeter and also mid range speakers. The rubber speaker surrounds would assist the movement of the cone. And its prime series are being designed along with a shallow mounting depth intended for easy fitment to almost any vehicle out in the market today. This 3-way type features 130 watts peak and 65 watts RMS. It also offers very clear sound from the mid to high within a very affordable price. These best 6x9 speakers for bass in low-end is a good choice for those who want a small boost in terms of sound clarity in the car having not to install an amplifier. It offers good quality for an affordable price. It offers clear and quality sound. It is a very basic kind of speaker. Poor quality in terms of low-frequency production. These speakers are great for those that are looking for quality speakers which are capable of delivering well-balanced, crisp and clear sound regardless of musical taste. This pair of speaker is indeed an impressive option. Aside from impressive features, these speakers could offer, this pair from Kicker is also a great choice for those in tight budget who want an awesome sound. The bass of this speaker really stands out. It is considered as the best hard-kicking 6x9 speakers as well. Along with that, this pair of speaker is also a 3-way type that is equipped with stiff polypropylene cones being supported by heavy-duty polyester foam surround. In addition, they would also feature two inches poly dome midrange which brings out the dimension and depth of the instruments. On the other hand, the 1/2” balanced dome tweeter would belt out the high-frequency details, therefore, could lead to having energy and excitement on the music. It offers very clear and crisp sound. Great speakers with great sound quality. It offers easy to upgrade too. It might not last for a long period of time. Problems with the balance between the voice and bass. You might want a speaker with high-end features like many other people want. If yes, then this one from JBL could be your top choice. This is an entry level speaker having high end-end features. It would come being equipped with a super tweeter as well as a midrange tweeter which are constructed with the use of JBL’s Edge-Driven and Mylar-Titanium Technology. And this leads to being a lightweight material of high-quality strength in delivering clear sound. It would also come along with built-in crossover network which restricts the mid-range sound with the use of high as well as low pass filters. This could also maintain high volume levels having not to damage or without having to experience any distortion. This is because of the high sensitivity rating as well as high continuous power handling rating. It is a budget speaker along with Harman Quality sound. It could maintain the highest level of performance for a long period of time. Great bang for a buck. It doesn’t include wiring or mounting screws. It has the simplest style that others might not like. For a speaker that is responsive enough to your needs and preferences, then something from Alpine is a wise choice – from great and responsive features and quality of sound. These are being equipped with high-performance linear drive motors making them as among the most responsive car speakers out there. These feature large square wire dual-layer voice coil in order to increase overall infidelity that is capable of handling a 300-watt peak volume. The speakers also offer the multitude of great features that you might be looking for. The speakers have the ability to balance stability though under high volumes and producing a high-quality sound system as well. The speakers could maintain and regulate power in sub-woofers maintaining suspension offering a powerful quality sound boost. Awesome surround feature and powerful effect. The speakers could effectively balance the sound as well. They have smart outer design along with resembling performance. Once used under very high voltage, these speakers are susceptible to blowing. The speakers might not offer such great longevity duration. For speakers with great function at the same time sold at its lowest price, the best one could come from Boss Audio. These speakers are among the cheapest best 6x9 speakers for sound quality on the market today. It is a 3-way type of speaker and having 100 watts RMS and 200 watts peak. The speakers also have 90 Db of sensitivity wherein they could produce very high-quality sound with the same amount of power. These could also produce the sound of frequencies that lie between 50 Hz and 20 KHz. Aside from that, the core of this is made of a very special type of polymer that makes them be elastic speakers. They are designed with the use of pretty magnet material which weighs 60 ounces. They also featured two kinds of tweeters. They also require 12 volts of batteries to offer efficient performance, and it has voice coil that is hard and tough. 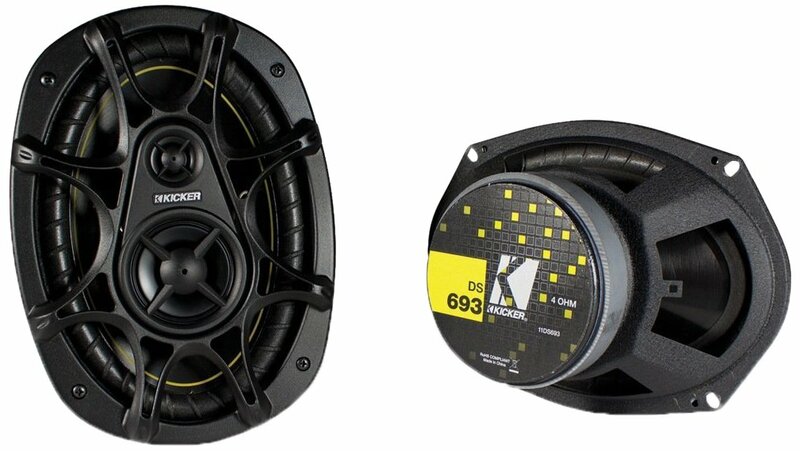 Be guided by these reviews once into the idea of purchasing 6x9 speakers for your car. Ever wondered what are 6x9 speakers? Well, they are oval-shaped speakers with a diameter of 6 inches tall and 9 inches wide. This is actually the exact measurement of the woofer cone speaker. Due to its design, most manufacturers could get a lot out of such speakers when it comes to overall quality of sound once compared with those standard circular-shaped speakers. They are also a favorite of aftermarket car sound enthusiasts. From a small amount space needed and only minor tweaks and amplifications, you could get a lot of great sounds. And in most instances, an additional and a larger subwoofer are being installed in order to attain overall louder sound and lower bass frequency. For ways on how to install these 6x9 speakers, consider watching this. Indeed, 6x9 speakers could offer wide numbers of benefits on the part of the users too. In fact, these speakers are considered to be a lot easier choice for people looking for great performing speakers at a reasonable price. Since there are many options when it comes to car speakers, these 6x9 speakers are an easier choice compared with building up a whole new system. With that, this kind of speaker is definitely an all in one speaker solution. Aside from that, 6x9 speakers could also perform at its best across all frequencies in the sound spectrum. Because of the shape and size of the hoofer, there could be a deep punchy sounding bass expected at the low end. And the mid-range could be a core component of most speakers of this kind so they are to excel at such frequency. These speakers also have the ability to reach to higher frequencies with great ease because most modern systems would come along with a built in tweeter. Good mid-range and decent bass, however, might leave something to be desired in terms of higher frequencies. It is considered as a great speaker to be combined along with the factory speaker system in order to fill it out. It is as well a good choice once looking for a speaker that would replace those larger ones which are most of the time located on the back deck of the car as for more premium and fuller sound. This is considered as two speakers in one. It would consist of 6x9 speaker cone along with smaller one or two-inch tweeter being nested in front of the larger speaker cone. It would help in filling out the higher mid-range at the same time producing more piercing high-quality frequency capabilities. Also, it will help the music to sound a lot clearer since it doesn’t overtax the capabilities of the 6x9 cone in producing high notes. This is indeed a better choice for those that are looking for a stand-alone speaker with great sound. This is considered as the most versatile as well as best-sounding type. The two different-sized tweeters and the 6x9 are built in order to handle ultra-high and high-mid frequency sound. It could fill out the quality of the music a lot more and could give the strong bass capabilities and great mid-range of the 6x9 speakers along with the great high-middle sounds as well as ultra-clear high-frequency notes. For the stand-alone unit, this one is a great choice. It could sound at its best and could stay clear through the whole range of a rock song as well as symphony since the load is being shared by three different speakers. Indeed, RMS rating is definitely the key. This would let you be familiar with how much power in watts the speaker could handle. A powerful system would need a high power-handling speaker. Lower sensitivity would also mean having the ability to handle high power. For those with a factory-installed stereo system you would need to choose high sensitivity speaker, but for those with high powered ones, lower sensitivity speakers would be a great choice. It is 6x9 inches in dimension but in some speakers, the speaker structure or magnet size could restrict you from having it installed in your car. Some might not fit your car. The wider ones are the better ones because the more sounds could be produced. Full ranges speakers aren’t needed at all rather choose the one which would match the music type of your choice. These should be made of lightweight and stiff materials together with the ability to stand against cold, heat and moisture. Its role is to allow the woofer cones to freely move and create powerful bass. For high-end speakers, it could be made of rubber in order to stand against humidity and heat condition. Though cloth and foam are cheaper, great performance is still provided. These are different since the listening expectation should be considered. Soft materials such as poly, textile blends, and silk would bring smooth sound. On the other hands, hard materials are preferable for those who would listen to radiant and forceful high notes. These could be installed in both the coaxial and the component system. Having detached tweeters, there is no need to buy new tweeters once upgrading the stereo system or once moving into a new car. These could be installed in appropriate locations in some cars as too low in the door. These could help in driving the sound directly to the ear of the listener. There will be an assurance of more lively as well as dynamic sound performance. These could appear in some of the full-range systems. It would separate the sound channel into the suitable ranges and would send them to the corresponding component. The low frequency would send to the woofers at the same time the high-frequency range would send to the tweeters. Every component would only produce the sound which it technically could. The sound would be a lot better and more clarity as well. Bear in mind these things to be considered prior to buying the best 6x9 speakers for your car. For more information when it comes to buying speakers or systems for car, read this. How is the 6x9 wired up to the factory amplifier? The factory rear speaker wire plugs would have four wires in every plug. The two wires outside are for tweeters, and the two wires inside are for woofers. Just snipped the two inside wires off for about three inches away from the plug and also use some crimp-on blade terminals which most speakers use. Will it sound good if I use some 4-way or 3-way 6x9’s? Once directly wired up to the factory amplifier, the 6x9 speakers will not reproduce the higher frequencies accurately since the factory amplifier would have built in crossovers. How do the low pass coils wire up with the 6x9’s? The coil is being wired up in series along with the 6x9 on the positive wire. Take the positive speaker wire coming from the amplifier on one side of the car and then connect it to the one end of the coil. Then, the other end of the coil would connect to the positive terminal of the speaker and so the negative speaker wire from the amp would directly go to the speaker’s negative terminal. What kind of difference does having new speakers would make? You will find that having new speakers would make a noticeable difference. The music would sound a lot more dynamic, crisper and also closer to the way it is being recordered and also better compared with a low-quality speaker. It has the best features that one might be looking for when it comes to 6x9 speakers. It also has the highest rating from among the other customers wherein this means that they are truly satisfied with this product. The price is also affordable enough great for the quality of the product. It might always be hard to choose which one is the best in terms of 6x9 speakers. Every brand would have multiple models and with great features as well. 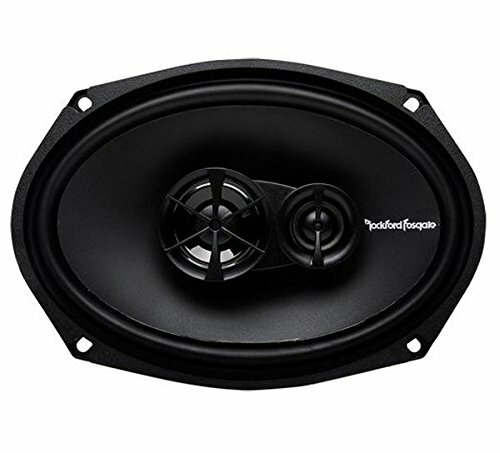 But narrowing down these options to only 6 of the best products could be a great help to come up with the best and right 6x9 speaker to purchase for your car. You might want to like and share this article. Feel free to post your comments below as well! 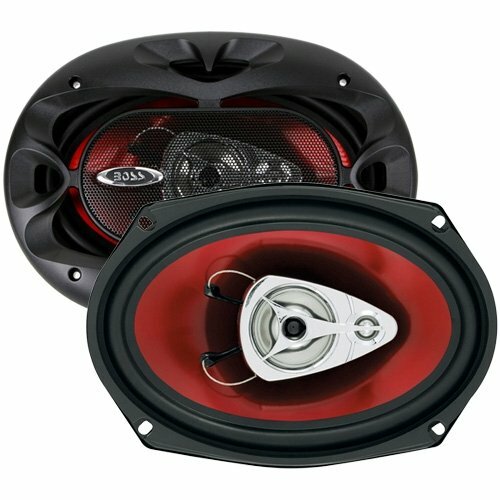 How To Find The Best Component Speakers For Your Car?